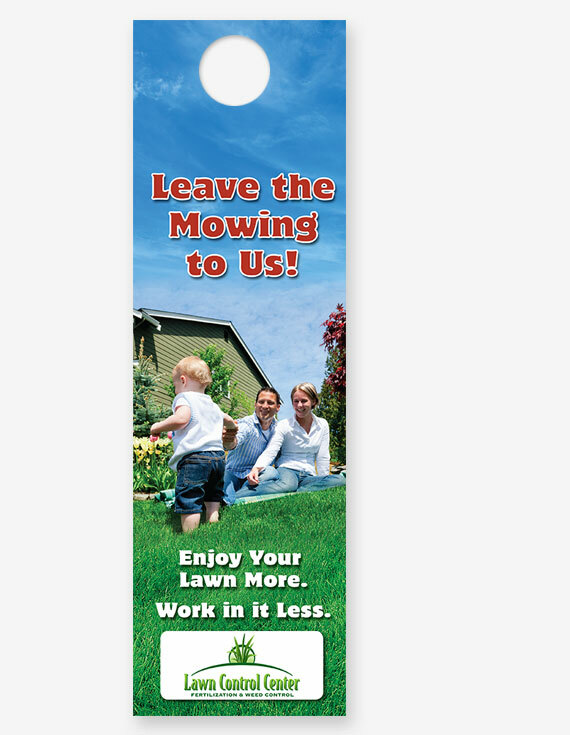 The happy family on the front of this door hanger helps to drive home your message: You make it possible for your customers to get more enjoyment out of their yards. 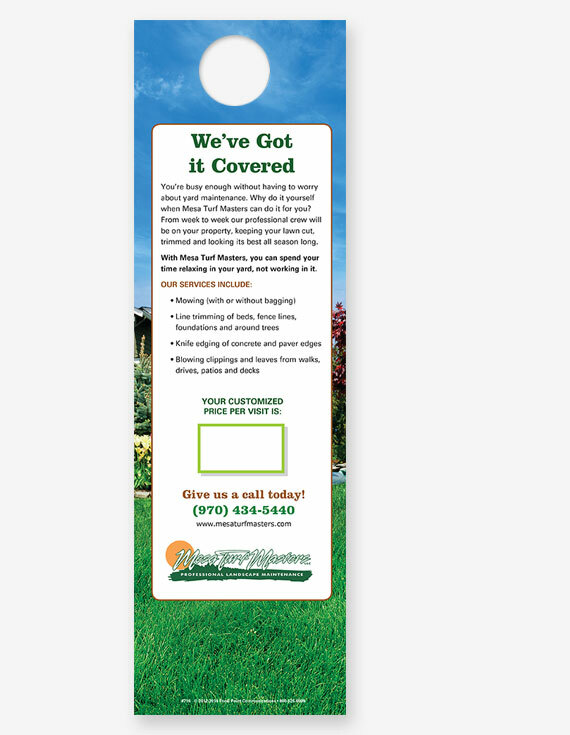 Use the back side for details about the maintenance services you provide. There's plenty of room to include a special offer or customized pricing information. Imprint on back side (black ink) included in price.